As a landlord, you want to accommodate tenants’ requests to decorate the apartment, yet you may worry about how their efforts will affect your property value. One decorating project gone wrong could wind up costing you hundreds of dollars to repair. Rather than check every one of your renters’ apartment decorating ideas, consider giving renters a list of rules to guide their decorating efforts. 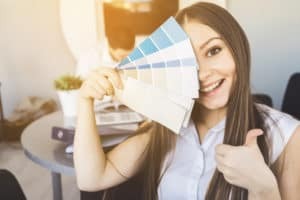 Painting: Many landlords allow renters to paint their rooms, especially if they choose a neutral hue or promise to paint the room in its original color before move-out day. Renters who are happy in their apartment will want to stay there longer; being surrounded by a color they love can boost their happiness. If you let renters paint, provide them with safe painting guidelines to protect their safety and your property. Interior decoration: From furniture to wall art, it should be fair game. With wall-mounted art, consider asking tenants to fill holes and paint over spackle before they move out. This way, the apartment will be move-in ready for the next tenant. Lighting: As long as they pay for an electrician to swap out fixtures and replace yours at move-out time, there’s no harm in letting your tenants update the electrical fixtures or change the lampshades in the apartment. Holiday decorations: Landlords are not allowed to discriminate under the Fair Housing Act. In terms of decoration, this means that tenants are allowed to decorate for religious holidays inside the apartment and on the front door exterior. Wallpaper: If you have wallpaper in your rental, it should stay as-is for the duration of the lease. If you don’t have any wallpaper on site, do not allow renters to wallpaper anything, even if they promise to pay for the supplies themselves. Wallpaper is a headache to remove. As an alternative, allow tenants to use wall decals, which come off easily. Painting trim: While you may allow renters to paint rooms, never allow them to paint crown moldings or window trim. As a rule, anything that is natural wood should stay that way, for everyone’s sake. At American Apartment Owners Association, we help landlords avoid missteps with tenants through customizable landlord tenant forms. Get the best price on forms and access other helpful advice when you become an American Apartment Owners Association member.